Available now on the Nintendo Switch eShop, Dynasty Warriors fans can pick up a digital copy of Dynasty Warriors 8: Xtreme Legends Definitive Edition. 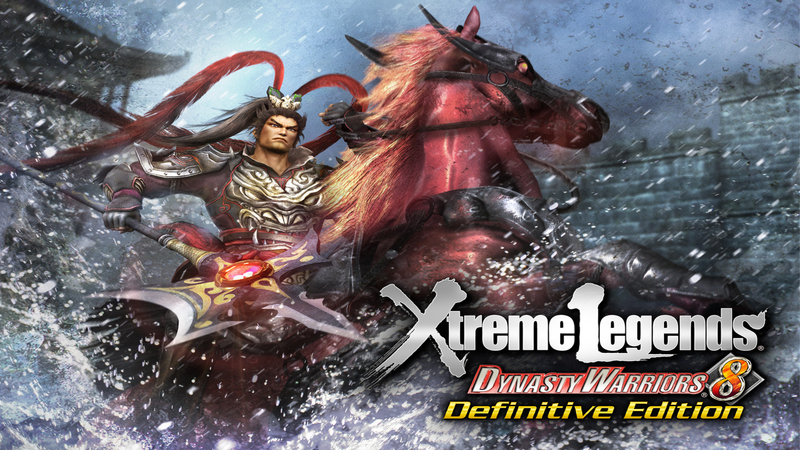 This release is a compilation of the original Dynasty Warriors 8 and the Xtreme Legends version, both of which have enjoyed releases on a variety of platforms. It includes all the base game content from those titles as well as “most’ of the DLC content (e.g. costumes, side-stories, etc.). Dynasty Warriors 8: Xtreme Legends Definitive Edition is the first version of title to appear on a Nintendo platform. This particular edition was also released not too long ago on the Microsoft store. That copy is specific for Windows 10 users and is only available on the Microsoft Store for the time being. For more details on either the Switch or the Windows 10 version, be sure to check out Koei Tecmo’s official website or follow them on Twitter.